Comments: Heucheras are grown primarily for their interesting foliage although panicles of white flowers are produced in late spring and early summer. 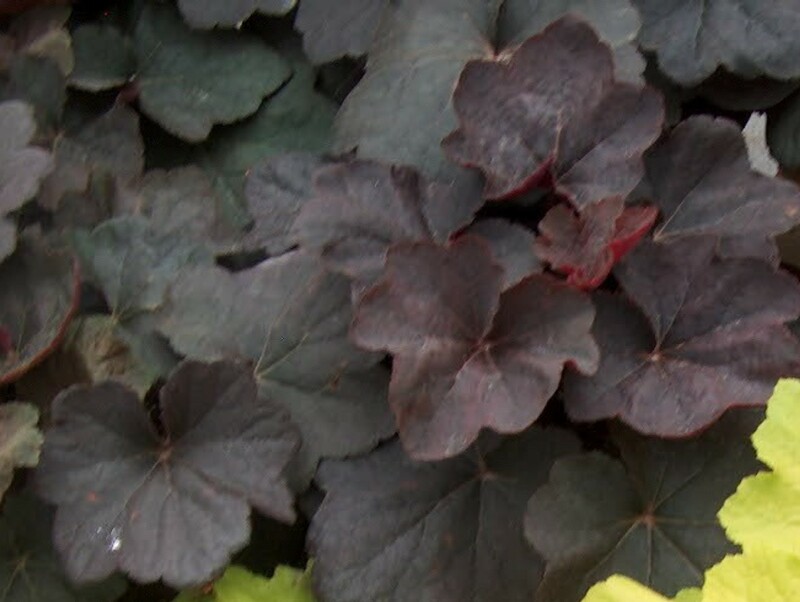 This cultivar produces unusually dark foliage--chocolate brown color on the top and burgundy color below. Most heucheras do best in cooler climates and cannot tolerate the hot, humid conditions of the Coastal South, especially if grown in full sunlight. Provide partial shade and a porous soil that contains a generous amount of humus. This plant is well adapted for the woodland garden and as an enrichment plant in detail designs where the foliage can be viewed up close.